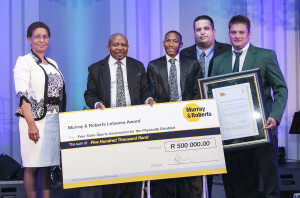 During a prestige’s event in Gauteng we received the 1 st prize in the Murray & Roberts Letsema award competition. We would like to extend our gratitude towards the Management of Murray and Roberts for this gracious contribution and we look forward to our partnership of the next 5 years. Thank you for the ours of work that you dedicated to make this award possible.